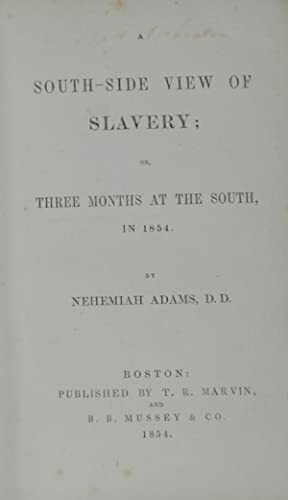 A SOUTH-SIDE VIEW OF SLAVERY da ADAMS, Nehemiah: T. R. Marvin and B. B. Munsey, Boston First Edition. - Second Life Books, Inc.